Get exceptional cleaning results and improved indoor air quality with the help of a bagged upright vacuum. 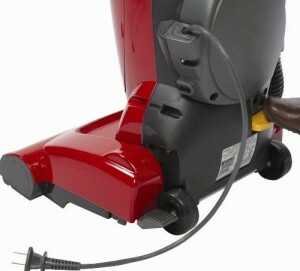 Bagged upright vacuum provides the bagged convenience – traps dirt directly into the bag for quick and easy cleaning. The following five bagged upright vacuum are packed with a wide range of great features for efficiency, pick one to suit all your needs. 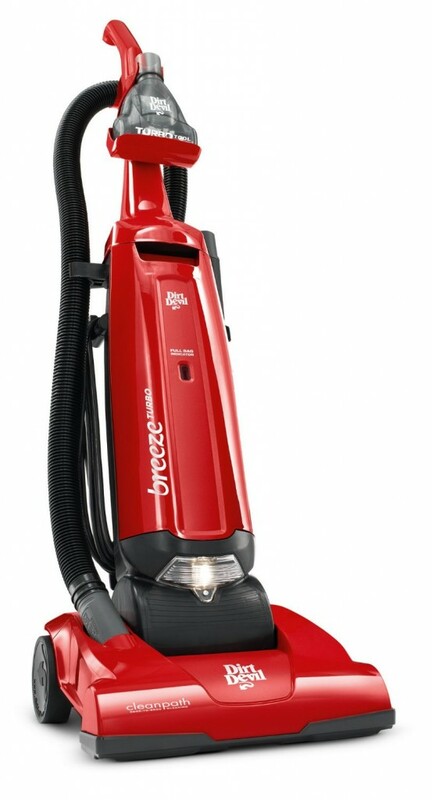 If you are looking for a vacuum has high suction power and provides a deep cleaning performance, stop looking. 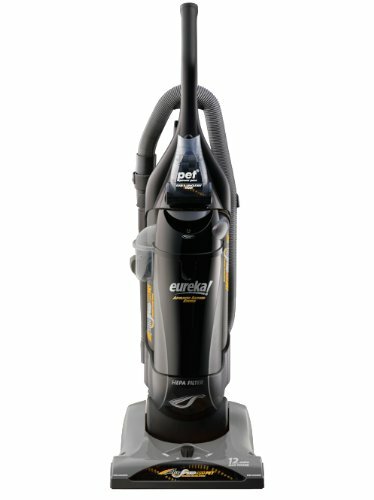 The Eureka AirSpeed Bagged Upright Vacuum delivers 12 amps of power to clean your home thoroughly. The Bag Change Indicator tells you when you need to replace the vacuum bag. Thanks to its 14 inch wide cleaning path, the unit is able to access hard to reach areas and provides better coverage of the carpets around your home. 27 feet long cord. Now you don’t have to smell your pets to love them thanks to Hoover T-Series WindTunnel Pet Bagged Upright. With the P.A.W.S Pet Approved Windtunnel system and Windtunnel Technology, the unit removes embedded dirt and minimizes blowback and scatter on carpet. It comes with Activated Carbon HEPA Media Bag that filters and traps 99.97% of dust and pollens down to 0.3 microns and carbon absorbs household odors. And a 30’ power cord means you won’t have to plug in and unplug all of the time. Lightweight, full-size and bagged, the Dirt Devil Featherlite Upright Vacuum allows you to clean your floors with less effort. It features automatic edge cleaning and height adjustment to ensure effective results. MicroFresh filtration is able to trap up to 99 percent of dust and allergens. The on-board hose and tools allows for extended reach. Its powerful 12 Amp motor cut through any mess with constant suction power. 25-foot cord. For powerful household cleaning, think this Panasonic MC-UG471 Bag Upright Vacuum Cleaner. The unit features automatically a powerful yet quiet 12 amp motor and adjusts to the proper setting for just about any carpet height. Its HEPA filtration system captures 99.97-percent of dust, allergens, and small particles. A convenient switch on the body conveniently turns the vacuum on and off. Headlight for clear viewing. Lightweight and compact, the Dirt Devil Breeze Bagged Upright Vacuum is easy to carry up and down stairs. The unit features automatic height adjust that changes height depending on floor surfaces for easy transfer from room to room. Its 10 amp motor delivers powerful suction to pick up the dirt you don’t want guests to see. With a long 25-foot power cord, this bagged upright vacuum is great for cleaning large areas.